The sad circumstances of losing Michael that befell us all recently, will always bring tears to my eyes, but the joy he brought to so many through his music will live on through all eternity. Your notes and posts over the past few months have meant so much to Clare Dunford and the boys. Your wonderful outpouring of love and admiration for Michael has helped them through these roughest of times. Clare and I discussed the quest to find a guitarist that would be worthy Michael’s blessing, and she too feels that Ryche Chlanda is the right one to carry on with Michael’s legacy. William, Ollie and I want to thank you all for your condolence messages and lovely memories/thoughts of Michael – we would love to just give you all a BIG hug for your love, support and kindness through this. He not only touched your hearts, but you have touch ours too as you have given us great strength to carry on through this really difficult time. The boys and I have read every single message and would love to have replied to each of you personally but there were so many!!! We can’t believe that already more than two months has passed by – someone wrote that they would never forget the 20 thNovember, well I know we won’t as it was the day our bubble burst – I’ve lost my gorgeous husband and a wonderful father to our two sons, William and Oliver. He was very much my English gentleman – kind, caring and so very thoughtful. The boys and I miss him every single day … not a day goes by without us remembering this gracious and loving man. What I do know is that the wonderful music he created will go on, so now Michael has left the greatest legacy for not only the boys and I, but for you wonderful people out there to keep on enjoying. We’re looking forward to hearing the new album so here’s to Annie and the band. William, our 13 year old, wanted to put a few words together to let you know what he thought of his father …… “My Dad was amazing at what he did, not only was he the best father a son could ever have, but he played in this wonderful band which was so important to him, he was always working wherever we were. I loved him lots like you could not imagine but unfortunately he has been taken from us but as a friend of my Mum’s said ‘they take the flowers and leave the weeds” (not sure what I am!) What I do know is that my Dad was talented, clever at everything. I am proud that he is my Dad and always will be, I love him like no other”. Lastly, I m sure that each and everyone of you will have your special memories of Michael, I know we do, so keep them safe, smile and go out there and enjoy life! Posted February 27th, 2013 in News, Newsfeed. I hope this note finds you and yours in the best of good health and spirit. As you can imagine we’ve been tasked with the inevitable; the quest to find a guitarist that would be worthy of our Michael Dunford’s blessing and musicality. 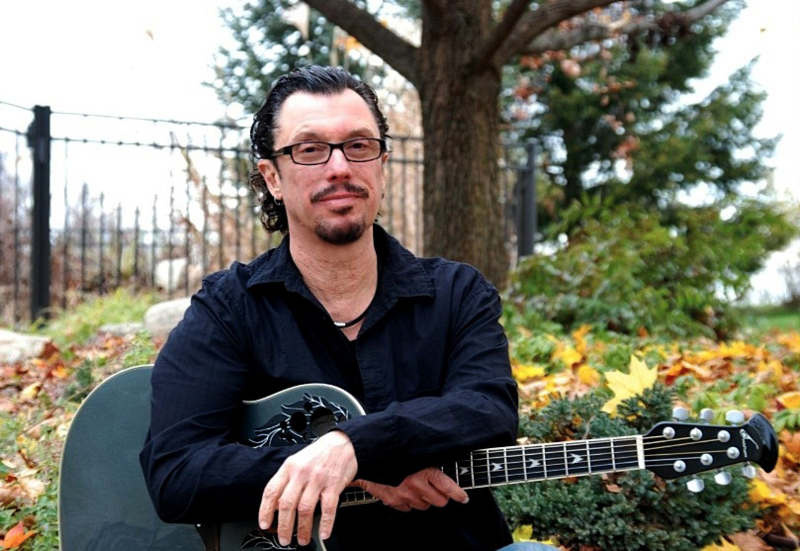 We recently auditioned a wonderful guitarist/vocalist from New Jersey named Ryche Chlanda whom we feel will be the right one to carry on with Michael’s legacy. He is a well respected and articulate musician who has toured both with Nektar and Fireballet. Please join us in welcoming Ryche (pronounced “Rich”) to Renaissance. You will be seeing him on tour with us this April, and we hope you’ll feel the same way we do about him. Posted February 14th, 2013 in News, Newsfeed.